Two perfect, soft Chocolate Oatmeal Toffee Cookies sandwiched together with fluffy decorator frosting. A cookie lover’s dream! 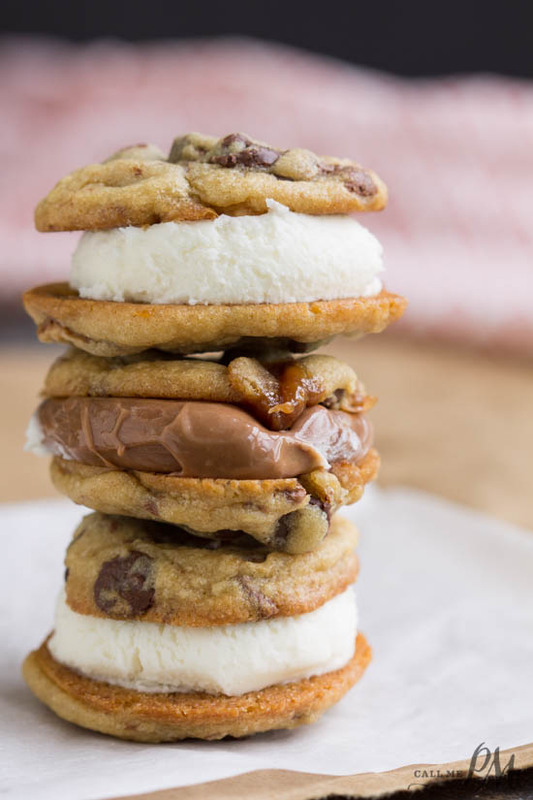 This cookie sandwich is irresistible! After limiting the boys time playing video and computer games for the summer, we have been playing board games and cooking. More family time is always a good thing, right? Playing board games always results in someone in tears, not me so far. Somebody has to win; apparently, someone has to cry, as well! After a competitive day and many tears, I decided to change it up. We made cookies instead of another game of Sorry! I had been wanting to try Toffee Cookies. 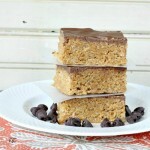 Instead of toffee chips, I chopped toffee candy bars (Heath brand). I also added chocolate chips for more chocolate flavor. Chocolate Oatmeal Toffee Cookies also have brown sugar in them. Brown sugar makes a richer, more complex flavor as well as a chewy texture in cookies. Finally, I stuffed them with frosting! This is one good sandwich. I wanted to cry they were so GOOD!! Read your recipe through completely before starting. 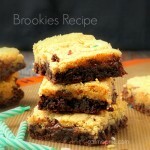 Bake by the minimum time listed on recipes and check them after minimum so as not to overcook. Cool cookies on the baking sheet for 2 minutes before transferring to a cooling rack. Have all ingredients at room temperature unless otherwise specified. Use a spring release scoop (ice cream scoop) for even shaped cookies. One important step in the process of making cookies is to refrigerate the dough before baking. This allows the butter to firm up so the cookie doesn’t spread too much. As well, it allows the gluten to relax for a more tender cookie. Additionally, there’s no harm in making the dough, forming it into balls, and keeping them in the fridge for up to 5 days before baking them. The dough will also freeze for up to 4 months. Bake as directed whenever you’re ready to bake. Don’t over mix the dough. This will make a tough cookie. I highly recommend baking cookies on a Silpat mat. Carefully and correctly measure flour. 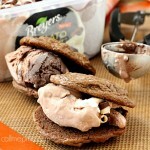 Two perfect, soft Chocolate Oatmeal Toffee Cookies sandwiched together with fluffy decorator frosting. Cream butter, sugar, and brown sugar together. Add eggs one at a time; beat well. In another bowl, stir together flour, oats, baking soda, and cream of tartar. Gradually add to butter mixture, beating until well blended. 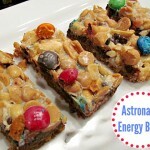 Stir in chopped candy bars. Refrigerate dough 30 minutes to 1 hour. Using a small ice cream scoop, scoop out cookies onto a cookie sheet. Bake 10 to 12 minutes for soft cookies, 14 to 15 minutes for crispy cookies. 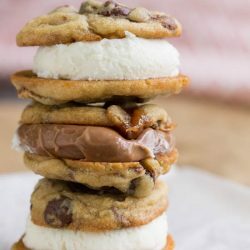 Remove from oven and cool on cookie sheet 2 minutes, then remove to wire rack to cool.To stuff cookies, make one or both of the frosting recipes below. These recipes make enough frosting for one 9-inch 3 layer cake. You may want to half the recipe for these cookies. Spread icing on the bottom of one cookie and top with the other. Squeeze together to even out frosting. Enjoy!! This post contains an affiliate link. If you click the link and make a purchase I will receive a small commission at no cost to you. I love playing board games…until the tears start. Then I get so frustrated! 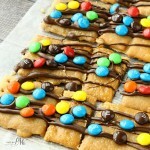 These cookies would make that so much better!